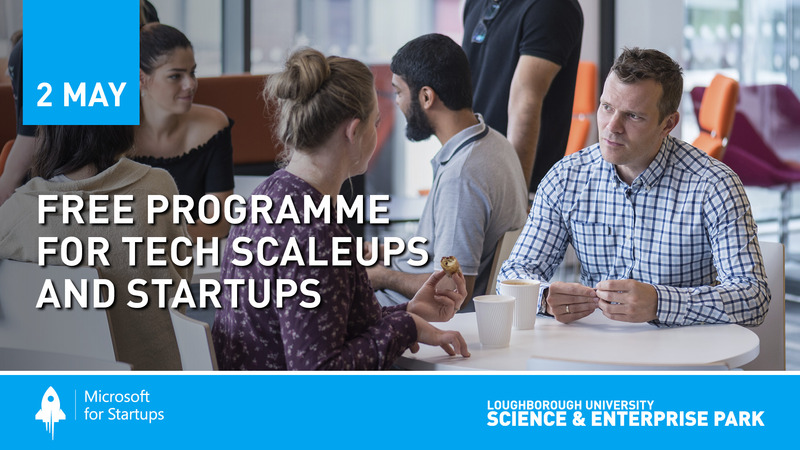 Loughborough University Science and Enterprise Park (LUSEP) is hosting the UK tour of Microsoft for Startups. All high potential tech scaleup or start-up business in any sector are very welcome to join the free workshop to find out more about this established programme that offers tailored support for B2B and B2B2C startups and growing companies. Statistics show that companies who have been through the programme have a 69% chance of having a thriving business three years after taking part. Following graduation and co-sell approval, startups can sell inside Microsoft’s two marketplaces (Appsource and Azure Marketplace) as well as connecting to Microsoft’s global sales force. The programme is equity-free - Microsoft does not demand a stake in the companies it nurtures. The event takes place at LUSEP on Thursday 2 May. In addition to an overview of the programme, optional 1:1 sessions with the Microsoft team are available to discuss key topics including company mission, value proposition, current and future markets, scalable go to market model, social media and sales plan.